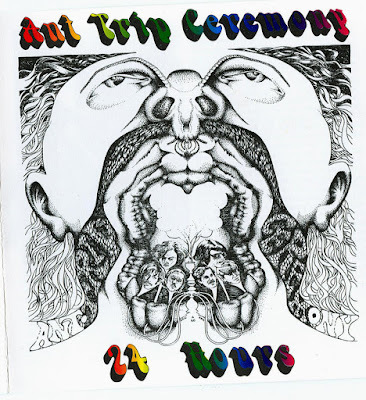 A super rare specimen, only three hundred copies of Ant Trip Ceremony’s “24 Hours” were cut upon its initial release in early 1968. But the album has been revived on a few occasions throughout the years, so psychedelic fanatics like us don’t have to spend entire paychecks to encounter its charms. The best of these reissues is this package, which aside from the cool music of course, is wholly legitimate and contains in-depth liner notes and previously unpublished photos. The first version of Ant Trip Ceremony was formed when guitarist Steve Detray, who attended Oberlin College in Oberlin, Ohio, visited his brother in Logan, Utah. When Steve returned to school in the summer of 1967, a new incarnation of the band was born, which featured lead singer Roger Goodman, bassist Gary Rosen, drummer Jeff Williams and percussionist Mark Stein. Prior to recording what would be their lone album, “24 Hours,” the band had already obtained a devoted fan base via local live gigs. Sharing an alliance with acts such as the Grateful Dead, Quicksilver Messenger Service, and Country Joe and the Fish, with touches of the Byrds periodically cropping up, Ant Trip Ceremony put a serious premium on experimentation and improvisation. A genre-blending journey, “24 Hours” slaps together bits and bobs of jazz, rock, folk, Middle Eastern motifs, and blues to a mind-numbing aftermath. As is usually the case with the greatest art, attitude over aptitude is the key here. 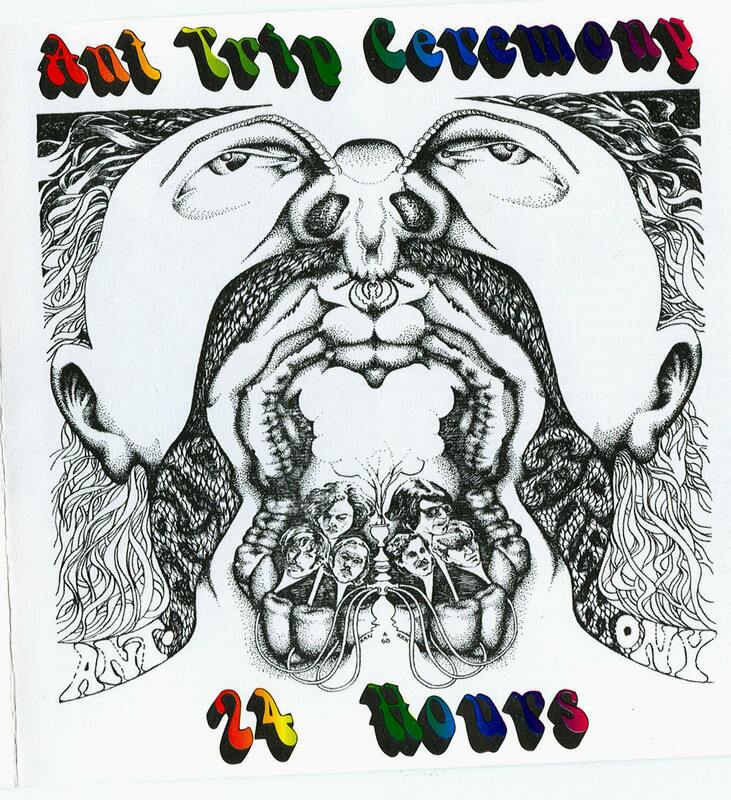 Each track on “24 Hours” bottles and seals the band’s love and enthusiasm for what they were doing to contagious effects. Charted of rumbling raga rock rhythms and breezy flute frequencies, “Elaborations” definitely weighs in as the highlight of the album, while other original compositions such as the slow and spooky “Pale Shades Of Gray,” the jangly wobble of “Outskirts,” the fractured jazzy pop of “Locomotive Lamp,” the spellbinding repetition of “Four In The Morning,” and the haunting pitch of “Riverdawn” also reveal Ant Trip Ceremony’s flair for installing unique twirls and curls into their material. Brash and bluesy, complete with howling harmonica drills and a needling drum solo, “Sometimes I Wonder” is a memorable tune as well, The loose and carefree vocals fit perfectly with the “anyway the wind blows” vision of the material, which shuttles back and forth between mellow moodiness and concentrated intensity. As far as covers go, Allen Toussaint’s “Get Out Of My Life Woman” favors a ragged and jagged crust, Eric Anderson’s “Violets Of Dawn” is airy and ghostly, and the garage band staple “Hey Joe” nails jazz flavored figures to a hard rocking romp. Strewn with unconventional tactics, “24 Hours” fully represents the jamming good mentality of the era, and is therefore a minor masterpiece of its acid-stained stripe.